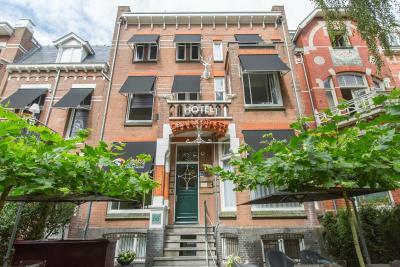 Lock in a great price for Hotel Oranjestaete – rated 9.6 by recent guests! Staff are wonderful - friendly and helpful. Arranged a car to the airport for me and gave good advice on where to eat. Room was spacious and comfortable. Beds and pillows comfy. Kitchen facilities in the room - very convenient. Coffee maker was very nice with good stock of coffees and milk. Plenty of space to work in the room and relax. Grocery store and good cafes right around the corner. Very spacious room and extensive breakfast served in the room. The room was very large..the kitchen was very well equipped..the decor was very modern.. The room was spacious and the faculty went above and beyond to make us comfortable! Very large rooms with a comfortable bed. Easy to get in and out of building. Staff was fully willing to answer all questions, make sure I understand the amenities of my room, and gave very good directions on where to eat and places of town to tour. 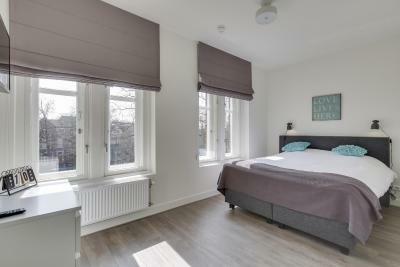 The rooms are spacious, clean and perfectly set up as an efficiency apartment with everything one would need for a multi day stay in Nijmegen. The hotel is located on a leafy boulevard within walking distance of restaurants and cafes and the historic city center. The staff is very helpful. It is a great value. This is a good hotel. That is; it works as a hotel should. Nice and helpful staff! Good parking facilities. Very clean and cozy! Only 30 minuets driving to the Hoge Veluwe National Park and Kröller-Müller Museum. I think it’s a family-run hotel but with five-star hotel standard. 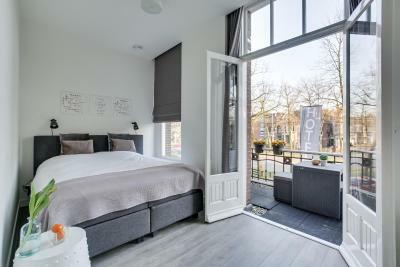 Located in the center of Nijmegen and 0.6 mi from the train station, Hotel Oranjestaete offers studios as well as apartments with free WiFi access. Each unit here will provide you with a TV and a mini-bar. There is a fully equipped kitchen with a dishwasher and a refrigerator. 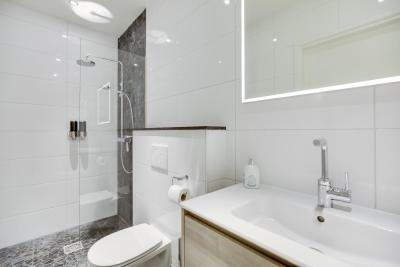 Featuring a shower, each private bathroom also comes with a hairdryer and free toiletries. You can enjoy city view and garden view from some rooms. Some studios have a balcony or terrace. 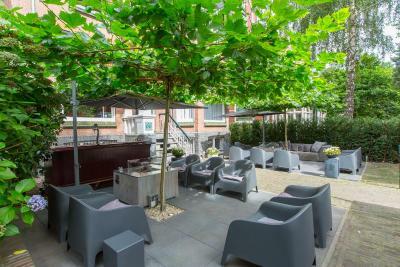 At Hotel Oranjestaete you will find a terrace. Other facilities and services offered by the property include grocery deliveries, luggage storage and dry cleaning. An array of activities can be enjoyed on site or in the surroundings, including cycling. Hotel Oranjestaete is 1,950 feet from Holland Casino Nijmegen, 3.2 mi from Nijmegen Dukenburg Station and 2,950 feet from Nijmegen Station. Eindhoven Airport is 34 mi away and Dusseldorf-Weeze airport is 29 mi. This is our guests' favorite part of Nijmegen, according to independent reviews. 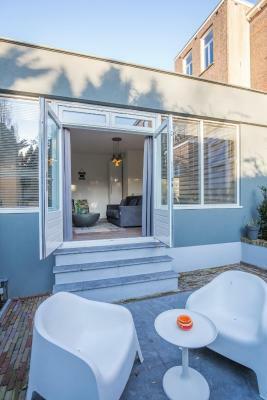 This property also has one of the top-rated locations in Nijmegen! Guests are happier about it compared to other properties in the area. 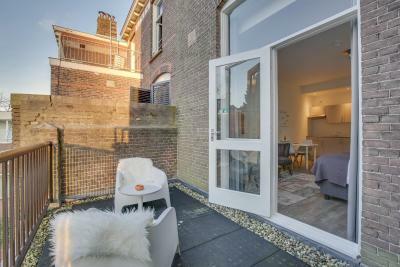 This property is also rated for the best value in Nijmegen! Guests are getting more for their money when compared to other properties in this city. 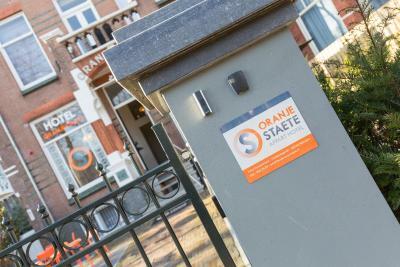 When would you like to stay at Hotel Oranjestaete? This apartment has its own entrance and kitchen. Guests have direct access to the communal terrace from the apartment. Private parking is available on site (reservation is needed) and costs EUR 12.50 per day. This apartment has a kitchenware, sofa and soundproofing. Each unit includes a private terrace. This apartment has a balcony, air conditioning and soundproofing. 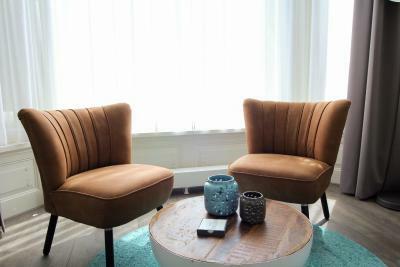 This apartment has a sofa, stovetop and seating area. Some units include a balcony. This studio has its own terrace at the backside of the hotel. This studio features a sofa and dishwasher. This studio features a kitchen, cable TV and soundproofing. Some feature a balcony upon request. This studio features a seating area, mini-bar and view. 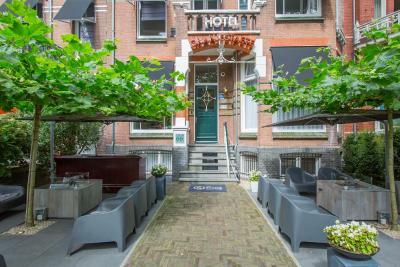 House Rules Hotel Oranjestaete takes special requests – add in the next step! Up to two children under 12 years are charged EUR 10 per night when using existing beds. ATM card Hotel Oranjestaete accepts these cards and reserves the right to temporarily hold an amount prior to arrival. Hotel Oranjestaete accepts these cards and reserves the right to temporarily hold an amount prior to arrival. Please note that late check-in past 20:00 is only possible upon request. 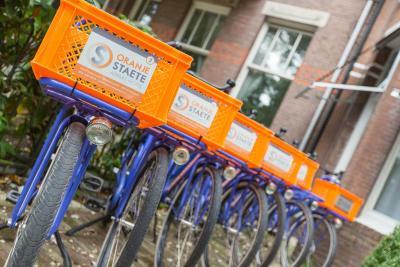 Please note that guests can make free use of a shuttle service to and from Nijmegen Central Station. Guests are required to book this service in advance. Please inform Hotel Oranjestaete of your expected arrival time in advance. You can use the Special Requests box when booking, or contact the property directly using the contact details in your confirmation. I would love a fitness center nearby. Large, comfort, clean room. 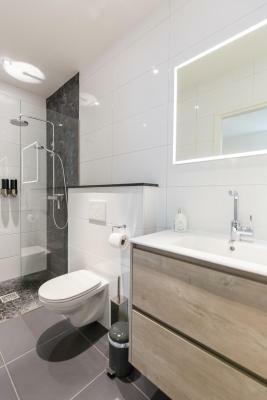 Big bathroom and well equipped kitchen. It would be great to have a proper ironing board. I don't like table-top ironing boards. Everything apart from the ironing board. It would have been nice if there was an on-site restaurant. The room was very comfortable and the bed was so relaxing! The bed coverings were too hot for balmy weather, but this is a general problem in the Netherlands. Breakfast was not included, but a supermarket around the corner provided ingredients for breakfast. There was a minor issue with the shower which was fixed vey quickly. Everything was perfect ... clean comfy stylish peaceful and extremenly helpful staff. Would stay here again in a heartbeat. The room was large, comfortable and quiet as we were at the back of the hotel. Warm greetings when we arrived - super helpful pointing us to restaurants and other areas! Ligging is top. Ontbijt was lekker en de kamer was gezellig en comfortabel. We liked.... EVERYTHING!! The staff was super friendly and the location was perfect! The suite was large and clean with lovely decor. We had trouble operating the stove but the staff explained how it works clearly. The bathroom was very small for 4 people..there was a tiny cupboard with an iron and ironing board and 2 shelves. 5 hangers..no other storage at all..that is not sufficient for 4 people..we had to live out of our suitcases on the floor ! 😒 Also there was a very strong odour of spicy food in the apartment..